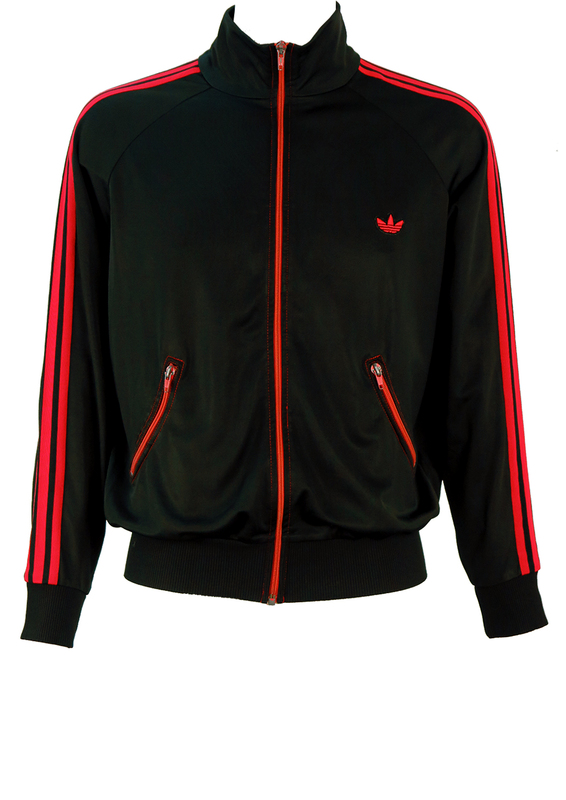 Vintage 70’s Adidas track jacket featuring the iconic 3 stripes in red on the sleeves with additional red highlights featured on the front zip and embroidered badge logo on the chest. 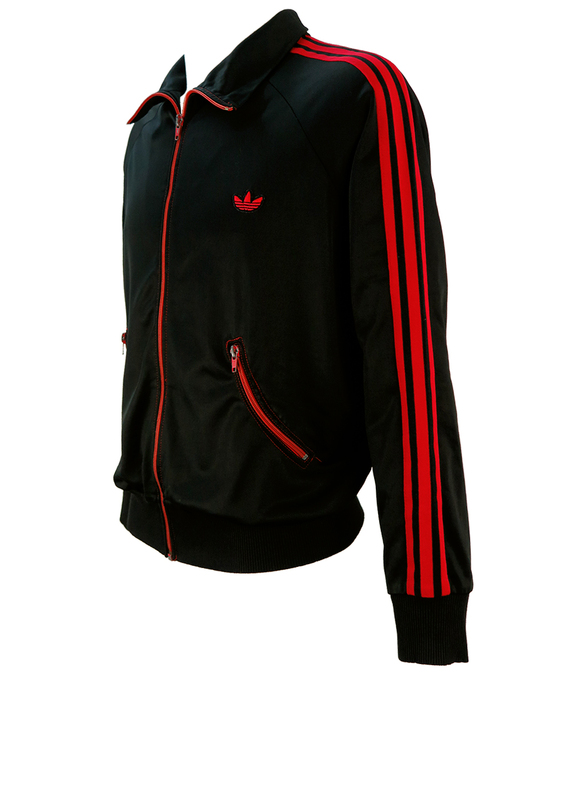 Additional design detail includes distinctive curved pockets, also with red zips as well as red stitching at the edges. 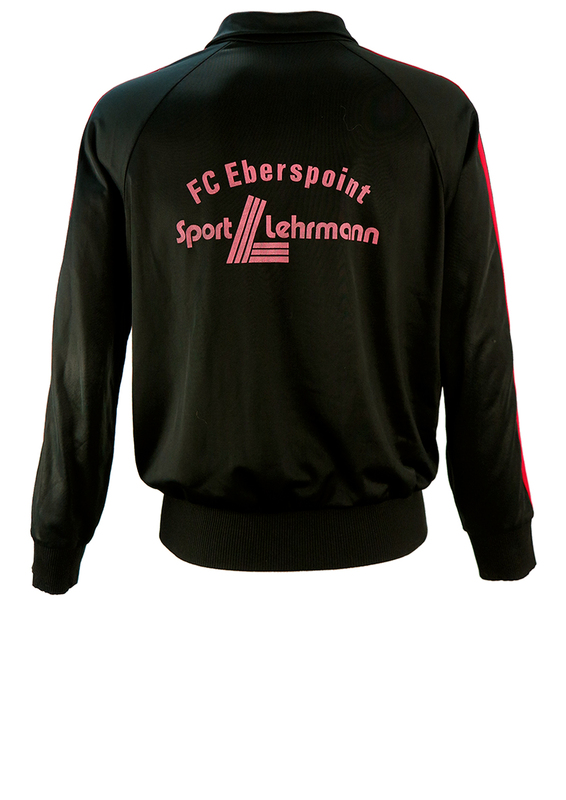 The back of the jacket has German football club branding on the black in a lighter shade of red. 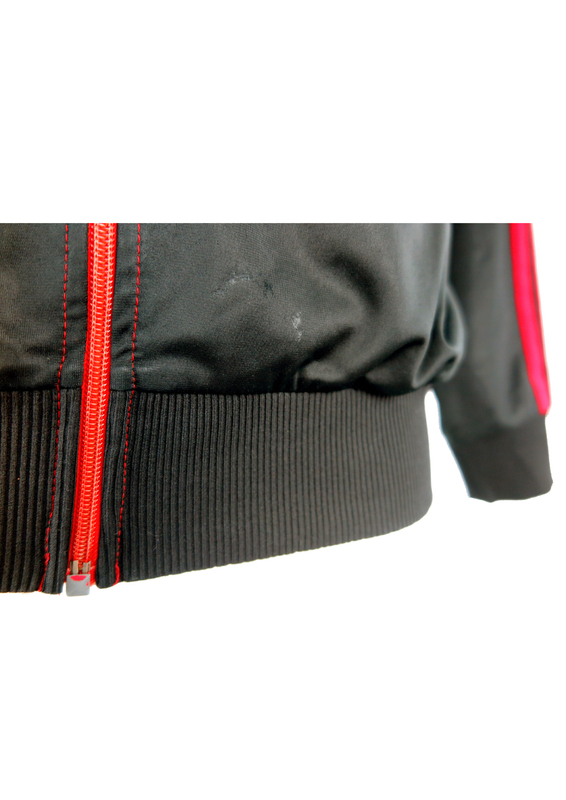 There is some very minor wear at the zip fobs which have lost some of the red coating in line with age and there is very minimal wear in a couple parts of the fabric though it’s barely noticeable – we’re just being very fussy! 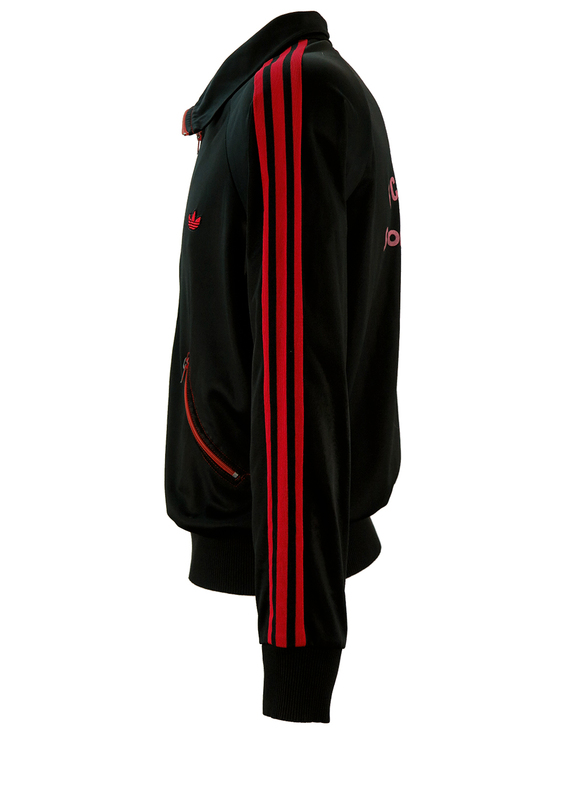 We have however reduced the price from £50-£40 to allow for this. 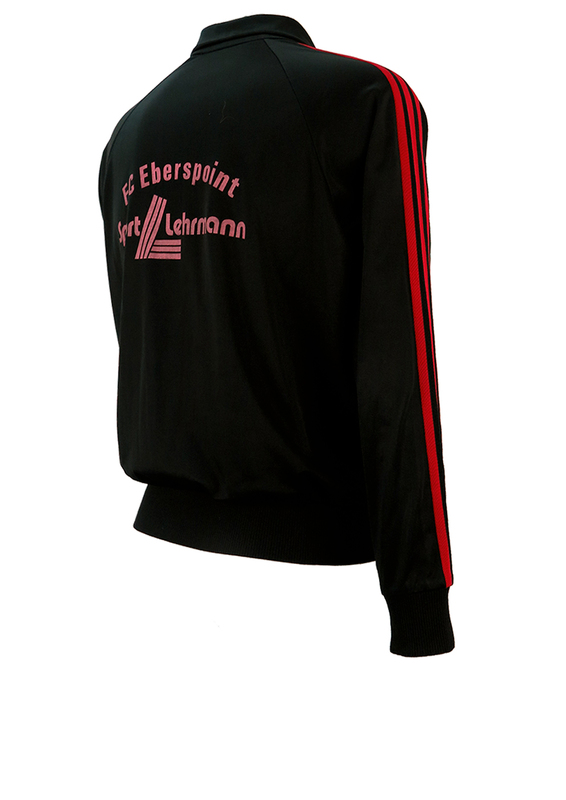 The jacket is otherwise in excellent condition. 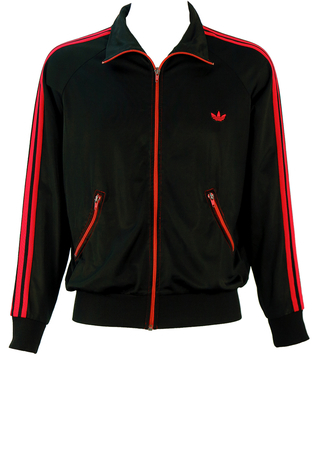 We have sized the jacket as between a size M and size L. Medium for a relatively casual, loose fit and Large for a more fitted style. Please refer to our measurements for further sizing guidance. In the absence of a shoulder seam from which to measure the sleeve length, we have measured from the base of the neckline to the cuff end to obtain a more accurate length measurement.